Yesterday morning I ran the Road Runner Sports Craft Classic Half Marathon. 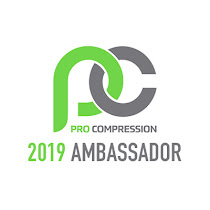 I had the honor of working with Road Runner Sports to help promote this inaugural race and was given a free entry in exchange for my hard work (but don't worry, you will still get a 100% honest and unfiltered recap of the race - as hopefully you've come to expect from me!). Seeing as they did not offer race day bib pick up (which is quite the bummer, especially since it takes about an hour each way to get down there for the 5 minutes of "expo" time) I made my way down on Friday afternoon to grab my goodies. This race was overflowing with perks. 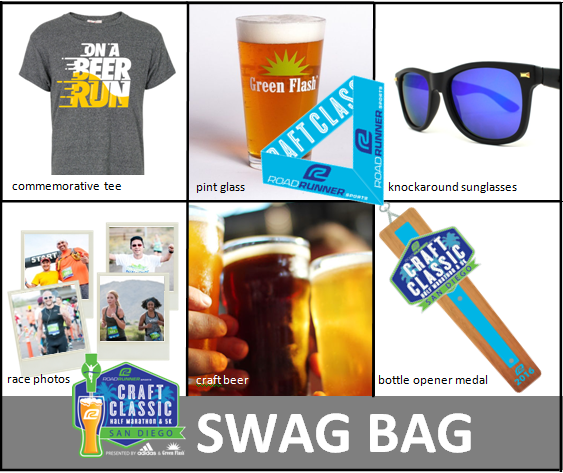 All runners received a commemorative tee (or tank), finisher's medal, race pint glass, sunglass, free race photos and after run beer! Since the race is a point-to-point race, the majority of folks took a shuttle from the finish line at Green Flash Brewing Co to the start. With the very clear directions of being at the shuttle BY 5:00am for the 6:30am race start, I made the executive decision to have Ryan drop my off at the start around 5:40am or so (meaning we didn't have to leave the house until a little after 5 - SCORE!). I decided because the course was a bit 'boring' (as in it was along a bike path next to the 56 freeway for a while and then through some industrial parts of Torrey Pines and Mira Mesa) I'd bring my own excitement and dress in character... And with the humidity making it feel like my runs have been "under the sea" lately, I thought a Little Mermaid theme would be PERFECT! and a hair tie) and a Sparkle Athletic visor (complete with dinglehopper and starfish). Apparently when you dress up in costume at a non-runDisney race you throw people for a loop... I mean, I thought it was pretty obvious I was going for Ariel but I had at least 4 people ask me "what's up with the fork?".... Uh, HELLO, it's a DINGLEHOPPER! The details can make or break a costume! These two make my heart smile! 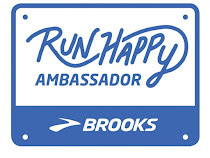 With inaugural races there will always be kinks (and I've gotta be honest, I normally prefer to wait until they get them worked out before registering, but since Road Runner Sports was working on the race I thought I'd give it the benefit of the doubt). One of these bumps in the road was the delayed start time. Around 6:30am we heard what sounded like Charlie Brown's teacher on an announcement (guess we weren't close enough to make out what was actually being said) but then didn't start for another 10 minutes or so (and at that point there wasn't a National Anthem or even a horn, people just started running). 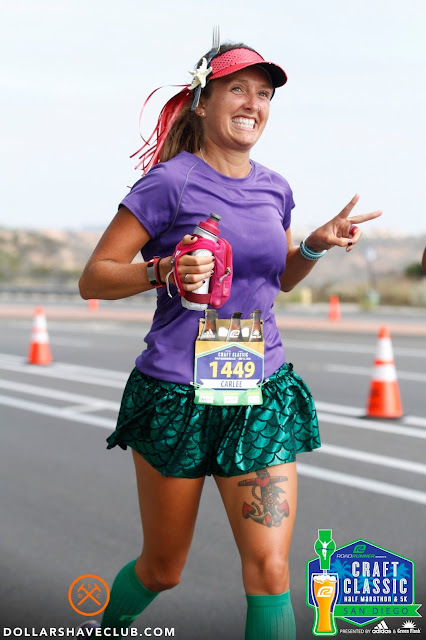 I have run the path a couple times now, since the San Diego Holiday Half runs along the same bike trail for the majority of its race, and I don't hate it ;) (FYI - Even though the two races are put on by two different companies, if you sign up for both this year you get EXTRA BLING!) Like I said at the beginning, the course isn't super visually stimulating or entertaining, but it is still fun! Although you are running along a highway, the left hand side has some pretty terrain (even though due to our major drought it is rather brown and dusty). Linzie's hip has been acting up and Leslie is just getting back into road running (trails are normally her jam) so we decided to take the race nice and comfortable. We walked or stretched when we needed to, stopped for photo ops when the moment struck and just had a grand ol' time! And, let's be real, you will remember the time spent with friends much better than a specific time on your Garmin... LIFE'S ABOUT THE JOURNEY - MAKE SURE TO ENJOY IT! Although the course is fun (especially with the right crowd), I would venture to say it is NOT a PR course. There are a few major climbs along the route. 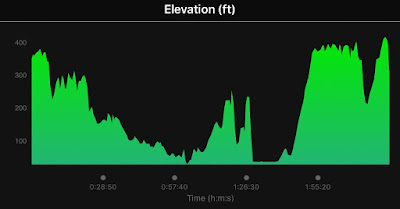 My Garmin had over 1,350 feet of elevation gain. Don't get me wrong, there were definitely some fun little downhills to cruise on as well, but man the ups were KILLER! So much so that they even had a "King of the Mountain" split that timed the mile-ish climb around Mile 10.5 or so... That hill definitely made sure that the majority of runners had a major positive split for the race! Talking about pennies, during one of our walk breaks I found one! I was making money running the race - BOOM SHAKALAKA! We joked and said it was one of my thingamabobs and then made a game trying to find more... since I didn't yet have twenty! I politely declined the dead rat that Leslie found as one of my whatzits though. 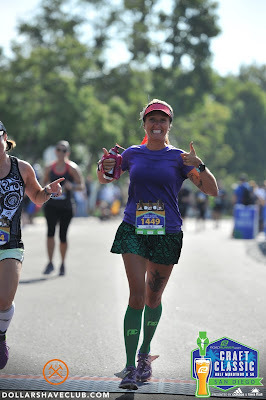 Yay for free race photos (especially ones that capture my dinglehopper!)! And, just an FYI, to whomever puts together race courses, runners do NOT appreciate uphills to finish a race. Now I understand that sometimes they are a necessity (especially if the finishing brewery is on a hill), but that still doesn't mean we are generally going to love them... Yes, the beer was near, but I would have loved to feel like I was flying into the finish as opposed to huffin' and puffin' my way in. Thanks to the hubby for always playing race photographer for me! Okay, back to the finishing area. It was cramped and not so organized. You picked up your food before your medal and then had to walk backwards to get in line for the beer... Yup, although you had beer tickets on your bib, you had to stand in line to swap them for different tickets... Thankfully the line was moving at a decent speed (but Linzie and Leslie still had enough time to run to the car to grab their IDs before I made it to the front). The hubby met up with us and was stoked to get my beer tickets (I do the running, he does the drinking - it's a pretty perfect relationship if you ask me ;)). Green Flash has some yummy beers (or so I've been told - they are actually one of the hubby's favorite local breweries), so it was fun to see some of their different beers out and about. You were given 4 tickets and could use them for either one "full" beer, two "full" tasters or four "half" tasters. The different options were spread out throughout the area, which was great for preventing a huge line, but it did make for a little confusion when you had to walk around to find the beer(s) you wanted. Maybe a beer guide or map would have been helpful (even in the race directions if they didn't want to have signage around the property). I always love a good photo op, so the backdrop with props was fun. The only issue is that when you stood on the "cases" everyone seemed to be too tall for the backdrop... I think they probably should have had the cases moved forward (so you could stand behind them) or made the backdrop taller. Who can pass up a great photo op?! On the way out I was able to find the sweet Dorothy and chat with her for a while. 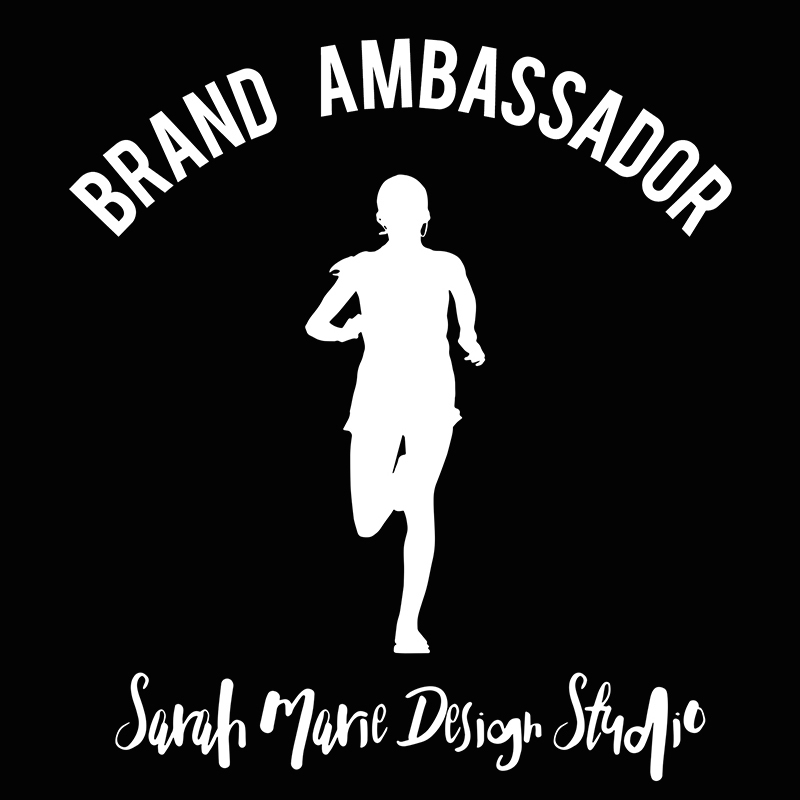 She is such a great gal and I'm so stoked that running has introduced us. 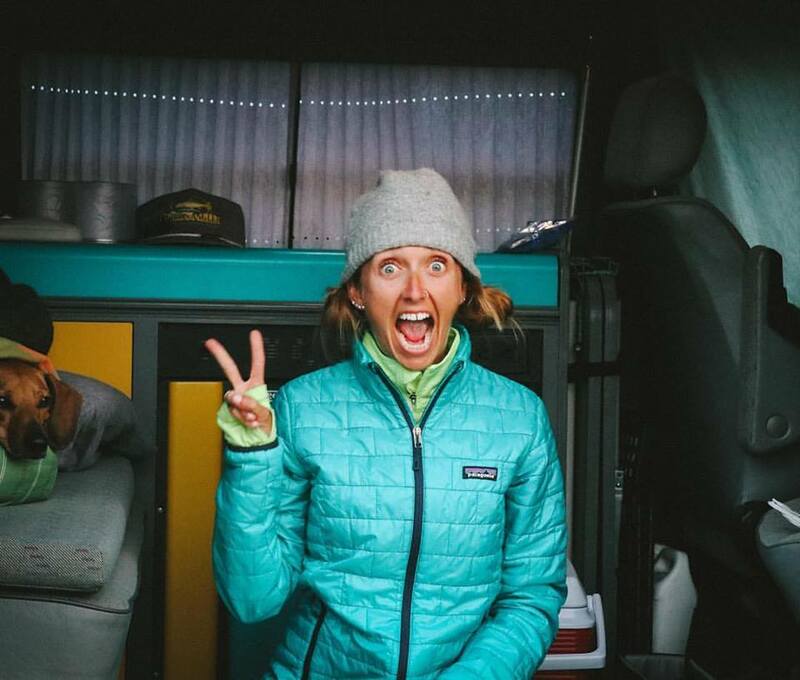 Her and her hubby were working one of the booths for Road Runner Sports but I was able to steal her away for a few minutes to chat about her recent adventures, their San Diego vacation and just life in general. If you don't follow her, you should... NOW! This lady is one speedy ROCKSTAR mama! It was finally time to call it a day, so on the way out I snapped a quick picture by the finish line and one with the hubby (since he is normally my photographer and we never think to get a picture together). Then it was time to head home for showers, puppy snuggles and food! see me finish! I call that WINNING (as does he)! It was AWESOME to meet all of the folks I did while out on the course! Every time someone says they follow me (whether it is my blog or one of my social media channels) I have to refrain from asking "why?" 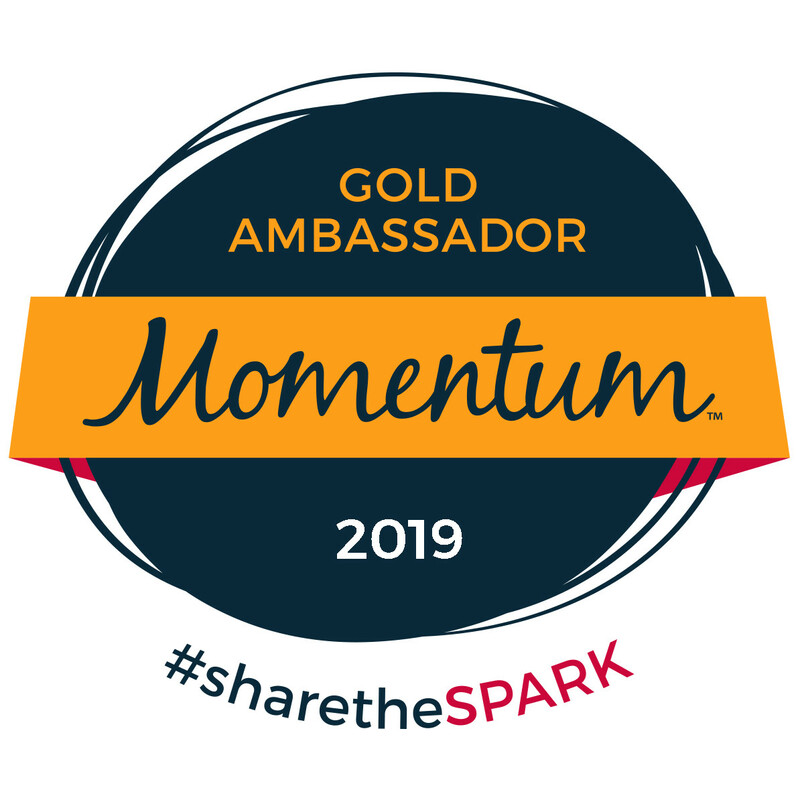 since it is still a shock that people care enough to join along on my journey. But even if it is a shock, I am beyond grateful (but maybe a little embarrassed), so THANK YOU! All-in-all, I would give this race, especially for being the first year (and the first location in the series), two thumbs up. The hills are tough and it makes you earn your beer, but it's great! Of course there were small things that could have been done better, but overall I felt like the pros TOTALLY outweighed the cons. And the little details (like the beer filling up on each of the mile markers, the six pack bibs and the beer tap bling) definitely showed that they cared and wanted to go the extra mile for the participants! Do you normally try inaugural races or wait until they have worked out the kinks? What a fun race, but with crazy elevation. I love your race outfit! Very, very creative! Sounds like a lot of fun. They have one in our area and I've been thinking about doing it. Hopefully they'll work out some of the kinks by then.